Today's post is going to serve as a few things all rolled up into one blog post. How's that for multitasking! First, I finally decided to participate in the September 30 Days of Lists. I've hesitated because I have a tendency to involve myself in too many things. But I was looking through my previous 30 Days of Lists journals the other day, looking for a particular page, and that stirred up a desire to join in again. And let's face it, I just love making lists! 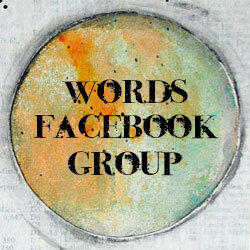 So today they are doing a blog hop to get the challenge going. I love it when I can kill two birds with one stone without even realizing it! If you are interested in participating in the September 2014 30 Days of Lists challenge you can learn more about it here. It's a fun challenge, especially if you love making lists! Even if you don't it helps you be present to things in your everyday life. There is also a Facebook page for today's blog post where you can view other bloggers lists #30listsbloghop. 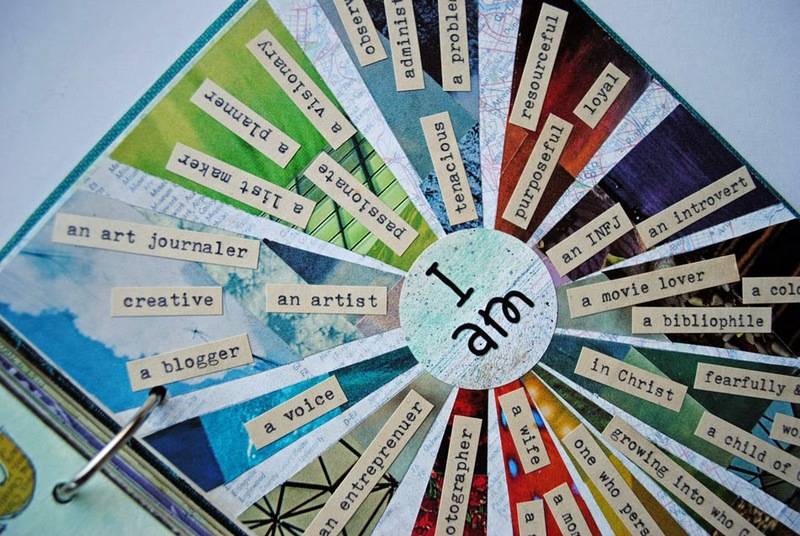 If you feel inspired you can make your own magazine mosaic and include a list of things about you. Don't forget to share it with me! This is stunning! What an awesome idea. Looking forward to seeing your other lists next month! Mary, this is brilliant! I love what you did here..what a wonderful idea! I may have to do my own page as a declaration! Thank you for this wonderful inspiration, it's beautiful! Felicia, I had such a good time tearing out colored magazine pages and then placing them in my mosaic patterns. And then it seemed to be a perfect backdrop for the things about me. Hope you enjoy doing so also! I love the mosaic background for this page. Its beautiful. Feel free to draw inspiration, Michelle! Gorgeous!! I love your creative take on the project! I like the simplicity of this page. When I saw how you did it I thought, "why didn't I think of that?" I want so much to join but like you, I tend to involve myself in too many things. September is difficult as school starts and this year I am teaching Biology which I haven't taught in years. I really need to focus on that. I will stop by to see your entries. Thanks for stopping by my blog Diane! I just love this page, what a unique way to present a list!! Fabulous. I loved how these turned out. They really speak volumes. I really love this. Awesome. I love this. What a great idea!! I think it would be fun to do with a bunch of the teen girls that I help with at church. Thanks Patricia! This would be a fun exercise with teen girls. I teach 4th grade and planned on doing an esteem page for each student as an end of year gift. Each student will write a positive quality of their classmates. 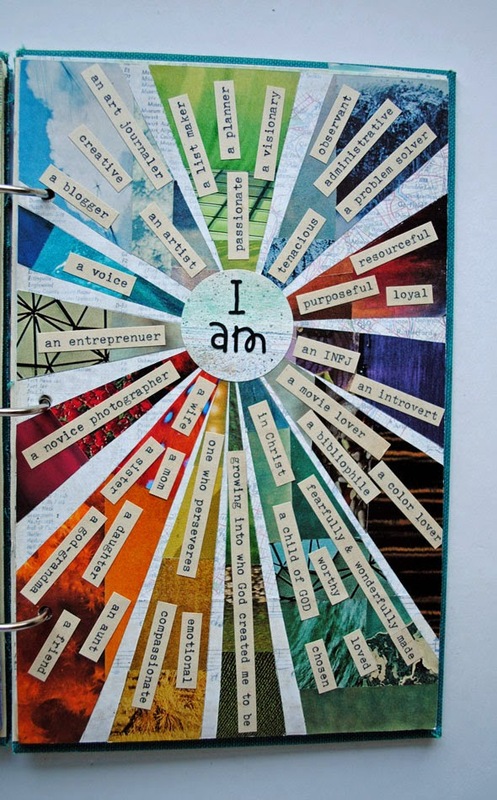 This will be a great way to connect an art activity with something that I can frame and give them that they will hopefully keep as a reminder of their unique and wonderful qualities. Thank you for the wonderful idea! I teach art to K-8th grade. I plan on using this activity with my middle schoolers or my 5th graders. Thank you for a wonderful project. What a wonderful idea! I am starting this project with 7th graders in a catholic school. 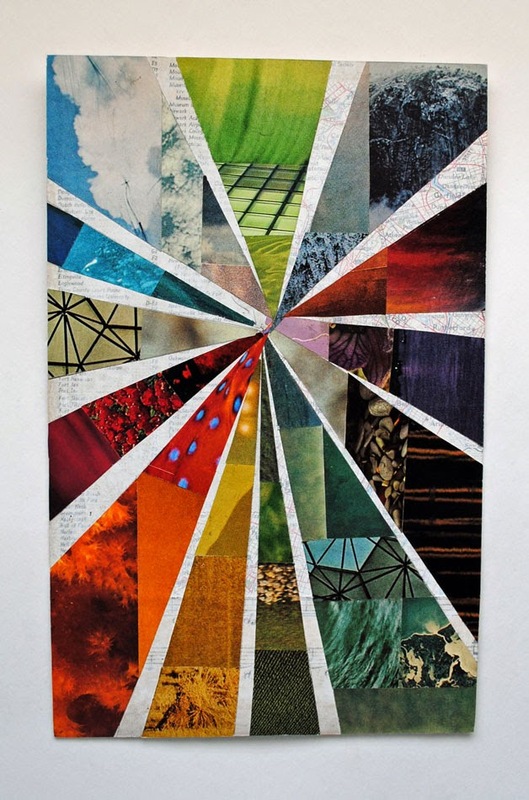 How would you suggest starting this once their lists are made--Would you draw the lines on the paper first and then cut the pictures to fit the "rays"? I'm trying to find the easiest process for middle school kids--Thanks so much for the idea! You could do it that way with the lines drawn on paper and then filling them in with the magazines clippings. 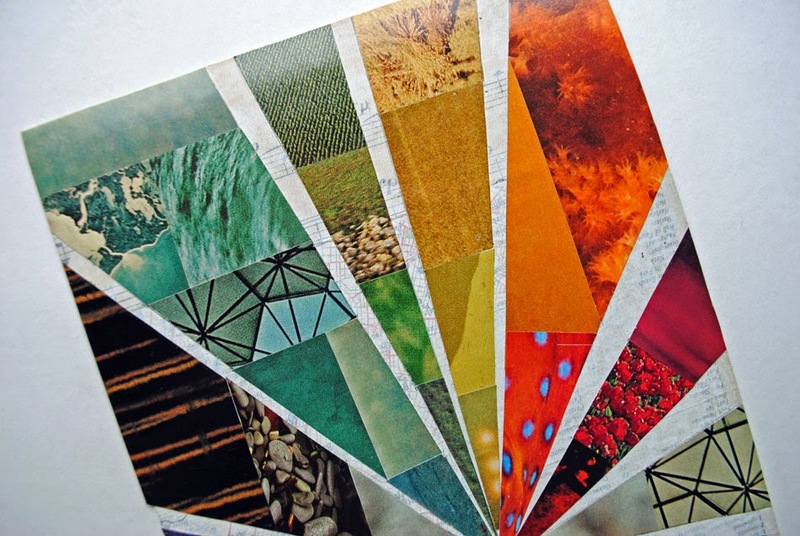 Another way might be to make a collage page full of magazine clippings and then cut it into the rays. I hope they have fun! 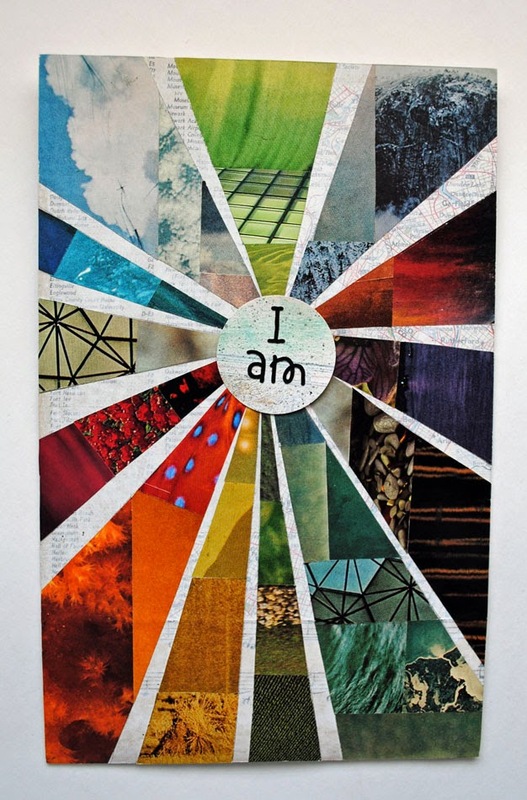 Oh, I like your second idea of making the collage page and then cutting it into the rays! That sounds so much easier! I love this. I would love to do this on a grander scale with my sixth grade class , maybe have them each pick one characteristic that best describes them ?. Any tip you can share ? i so love this. Thank you for sharing this awe inspiring idea. Kari,I like to use Liquitex matte gel medium as my adhesive. This piece was just a page in my journal. I don't put any type of wash or finish on top of my art or journal pages just make sure the backs of the papers are completely cover with adhesive. Any missed spots will appear as bubbles or ripples. Use a brayer to fully flatten and adhere the pieces to the background paper. I also recommend covering the finished piece with a piece of wax paper and putting it under a stack of heavy books for a few hours to help both flatten the page and work out any wrinkles or bubbles. Have fun with your art and may God richly bless your mission trip! This is beautiful! I immediately connected with the colors and layout. 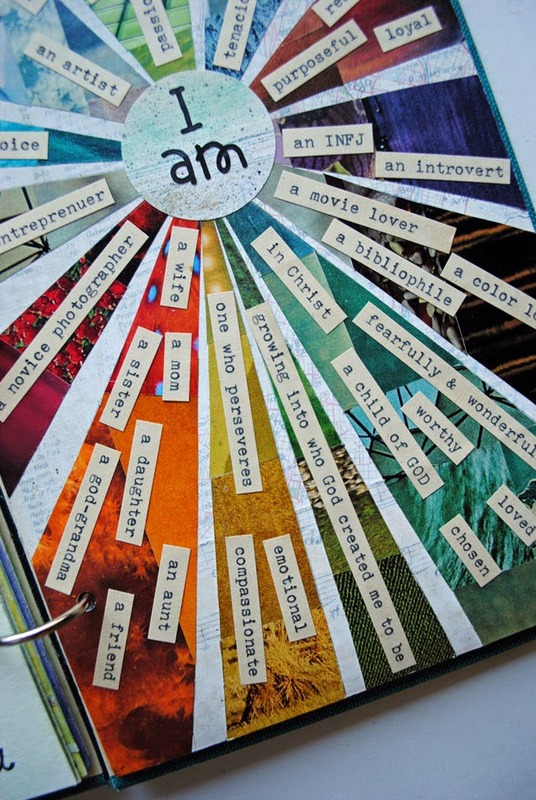 The first words that caught my eye were "an INFJ", I'm an INFJ too. Thank you for sharing this! I am so glad it inspired you! What a cool idea. I'm going to make my niece & nephews on, helping to keep them on the right path of life. Thanks for sharing. Our Junior troop is going to work on this tonight! Awesome! Thanks for sharing! This is a great idea for children to tach ten to appreciate themselves.